Pricing along with the specifications and clock speeds for AMD’s full Ryzen lineup has been leaked. AMD’s next generation family of enthusiast desktop CPUs is due March 2nd and is poised to take on Intel in every market segment. The Zen microarchitecture is the fastest and most power efficient ever developed by the company. With early benchmarks already showing AMD’s 8 core, 16 thread $389 Ryzen 7 1700X competing favorably with Intel’s $1000+ behemoths. The particular leak we’re going to be covering in this article originates from an internal product list of a Chinese retailer. 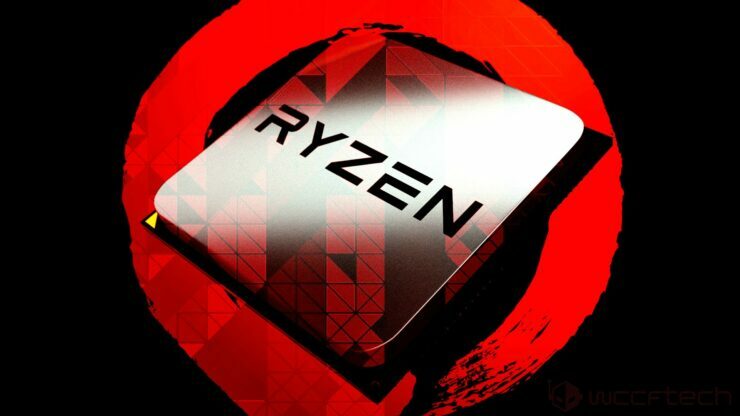 Thanks to several retailers listing the Ryzen 7 1800X, 1700X and 1700 online for pre-order over the past few days, we already know the prices for three of the 17 Ryzen CPUs. Thanks to today’s leak however, we have the full price list in addition to the Base and Turbo clock speeds of the chips and even their L3 cache sizes. So without any further delay, let’s dig in! Let’s start from the very top. All three of these chips have already been listed online by ShopBLT. A retailer that also listed every AMD CPU prior to its release over the past several years. Including the Athlon X4 845 and the Kaveri A10 7850K and A10 7700K chips. Not only that, but its prices were also spot on, exactly matching the official MSRPs at launch. Perhaps it has proven accurate time and time again because it retrieves product pricing data from the database of one of the biggest channel suppliers in the world. The above information will prove crucial in translating the leaked Chinese retail prices from the Yuan to the Dollar. If we convert the prices of the Intel chips from the Yuan to the Dollar we immediately notice a 20-25% markup compared to US retail prices. For example, according to the above price chart the i7-6850K is priced at the equivalent of $698. While the same chip is listed at $569 on Amazon.com. This comes up to a 25% mark-up, likely tax related. We notice the same trend with every one of the other Intel chips. With mark-ups varying from 20-25%. The Ryzen 7 1800X, 1700X and 1700 are priced higher by a similar margin to the Intel counterparts compared to the USD list prices we saw on ShopBLT. With that in mind, in the table below you’ll find what the retail prices would come out to in USD excluding VAT or any other taxes. In other words these are the prices that you should expect to see in places like Amazon, Newegg or your local retail store anywhere in the US. Moving on towards more of the mid-range of the market AMD will be offering the Ryzen 5 1600X and the 1500. In the above table we notice the same mark-up trend we noticed with the previous one. The i7-7700K for example is priced at the equivalent of $407, $57 more than the $349 US retail price for the chip. You’ll notice the same kind of mark-up with the i7-7700 and i5-7600K prices listed in the above table. Because we don’t actually have any online product listings in USD of the Ryzen CPUs listed above, what we did is we looked at the mark-up percentage wise for each of the most closely priced Intel CPU and deducted that mark-up from the price of the Ryzen chip. Continuing our focus on the medium range, the Ryzen 5 1400X and 1300 offer the same kind of specifications and performance you’d expect from an i7 quad-core chip albeit at slightly lower clock speeds and for around two thirds to a half of the cost. Quite incredible..
At the entry level of the Ryzen stack we have two quad-core chips without multi-threading. Amazingly, both of these chips are actually cheaper than Intel’s dual core i3-7350K. It’s worthy of note that all Ryzen chips feature fully unlocked multipliers. So all Ryzen chips are overclocking ready right out of the box. You won’t have to pay extra for an unlocked chip like you’d normally do on the Intel side. So long as you have an X370 or B350 AM4 motherboard, you’re good to go.